David S. Elias strives to be an advocate and sounding board for his clients. David has built his experience through various roles in business and accounting positions. David is an entrepreneur, having started two businesses and one nonprofit, and is passionate about, and dedicated to, helping small business owners properly plan for the future, regarding taxes and other financial tools at their disposal. David graduated from Miami University (OH) in 2008 with a B.A. in Political Science. 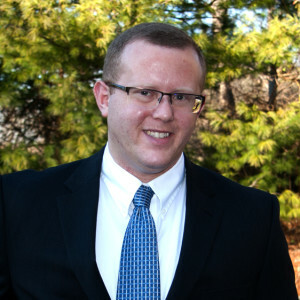 After gaining experience in business, David attended graduate school at Lindenwood University and graduated with a MBA in 2014 and a Masters of Accountancy in 2015. Additionally, David has maintained his business acumen, serving as a mentor for Innovate St. Louis and through involvement in various networking groups in the community. In addition to tax planning and bookkeeping work, David hopes to be a resource to clients looking for more. David takes pride in actively furthering his education and expertise. David was raised in St. Louis and lives in West County with his wife and dog. He enjoys being actively involved in the community and has planned hundreds of events ranging from community service to social events that bring people together.